Downloaded it, burnt it to CD, and will now use it to pass the time on my drive back from Leeds to Guildford. It had better be interesting Ben – had a late night last night and don’t wanna fall asleep at the wheel!!! Alternatively I have my Slayer, ‘tallica and Anthrax CDs to keep me going. Should do the trip in about half the time with those! It’s a good show. The Simon Singh program is also very good. There is a bit on Simon’s view on homeopathy etc. Listened to both on the drive down. 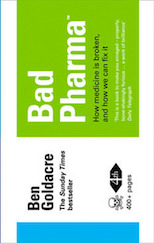 Good programme Ben, though not a great deal new for us badscience enthusiasts! Bet you never thought Faerie Gangsters would get radio airplay though did you?!? The Simon Singh show was indeed good too. I must say it did make me curious about that “What the bleep…” film though. Don’t usually download films but might have to make an exception in this case. Certainly don’t want to pay the makers of it! I tried listening to the show on my MP3 player this morning, and also to the Padraig Reidy & Martin Rowson one, and they both seemed to be artificially slowed down. Has anyone else had this problem? I did not have problems with the Padraig Reidy & Martin Rowson ones. However, in the past I have had problems with some mp3 files on my older mp3 player. Apparently not all mp3 files are the same. I had to use an mp3 editor to re-encode them. At the moment I am marking exam papers* and listening to the Tracey Brown program. It’s brilliant. It’s all about science in the media. cheers ssames. I contacted the little atoms guys and they haven’t heard of any problems either. my mp3 player’s quite new (it’s a Zen Micro from Creative), which was why I didn’t suspect that.